Full name is Marco Antonio Hernández. Signed by Jose Serra and Jose Estevez (Cubs). Missed the entire season on the disabled list. Entered the season ranked by Baseball America as the No. 10 prospect in the Red Sox organization. Began the season on the 60-day disabled list recovering from left shoulder surgery performed on 5/26/17. On 7/10, underwent a successful left shoulder anterior stability revision procedure at The Vail Medical Center/ Steadman Clinic, in Vail, CO... The surgery was performed by Dr. Matthew Provencher. His 3rd year in the BOS organization was cut short due to season-ending shoulder surgery...Began the season on the roster of Triple-A Pawtucket, but did not appear in a game with the PawSox before being recalled by BOS on 4/6. Batted .276 (16-for-58) in 21 games with the Red Sox, making 9 starts at 3B, 5 at SS, and 4 at 2B. Placed on the 10-day disabled list with left shoulder subluxation on 5/4. On 5/26, underwent a successful left shoulder open stabilization (Latarjet) procedure...The surgery was performed by Dr. Tom Holovacs at Massachusetts General Hospital. Transferred to the 60-day DL on 5/28. Made his ML debut, appearing in 40 games and making 10 starts over 5 stints with the Red Sox...Also led Triple-A Pawtucket with a .309 AVG (69-for-223). Hit .333 (12-for-36, 2B, HR) with 3 BB and only 3 SO in his ML starts...Went 4-for-8 against LHP. Recalled from Pawtucket for his 1st ML stint on 4/15...Made his ML debut on 4/17 vs. TOR, starting at 2B and going 1-for-2 with a BB, a stolen base, and a run scored, breaking up the Jays' no-hit bid with a 2-out, 5th-inning single...According to Elias, became the 1st Red Sox ever with a hit, run, walk, and stolen base in a ML debut. Recorded his 1st multi-hit game on 5/25 vs. COL, going 2-for-2 with 2 runs scored after entering as a pinch-runner. Hit his 1st HR on 5/30 at BAL, a 3-run shot in the 8th inning off Mychal Givens. Went 7-for-15 (.467) during a span of 4 starts from 6/27-7/3...Recorded his first 3-hit game on 6/27 at TB. Recalled from Pawtucket for the 5th and final time on 8/25 when Andrew Benintendi was placed on the DL... Appeared in 11 games and made 1 start (9/20 at BAL) over the remainder of the season. With Pawtucket, hit .357 with a .973 OPS with RISP (20-for-56, 3 2B, 2 3B, 2 HR)...Batted above .300 vs. both LHP (.328) and RHP (.301)...Recorded 18 multi-hit games, including 6 with 3+ hits. Made 22 starts at SS, 20 at 2B, 10 at 3B, and 1 in LF with Pawtucket, combining to commit 2 errors in 168 chances. Reached base via hit or BB in each of his first 18 minor league games through 5/7 (.366 AVG, 26-for-71). Batted .286 (38-for-133) with 4 HR in 36 regular season games for Licey in the Dominican Winter League...Hit .340 (16-for-47) vs. LHP...Each of his 4 HR came in his final 15 games...Also appeared in 5 playoff games. POSTSEASON: Appeared in Games 1 and 3 of the ALDS, both as a pinch-runner for David Ortiz. Combined with Double-A Portland (68 G) and Triple-A Pawtucket (46 G) to hit .305 (141-for- 463) with a .454 SLG...Named an Eastern League mid-season All-Star...Led Red Sox minor leaguers in SLG and ranked 2nd in AVG. Made 88 starts at SS, 15 at 2B, and 5 at 3B. Hit .317 vs. LHP (45-for-142) and .299 with a .483 SLG vs. RHP (96-for-321, 20 2B, 6 3B, 9 HR)...Batted .324 with RISP (34-for-105)...Recorded 40 multi-hit games. Began the season with Portland and played in 8 games before being placed on the DL from 4/19-5/7 (right intercostal strain). Batted .353 (72-for-204) in his final 47 games with the Sea Dogs...Hit safely in 33 of his final 36 games with Portland beginning 6/5, including in each of his last 13. Recorded 3 2B on 5/29 at Trenton and again on 6/13 at Bowie...Had 2 hits in 5 straight games from 6/21-25. Named Red Sox Minor League Defensive Player of the Month for June. Named MVP of the Eastern League All-Star Game on 7/15 at Hadlock Field as the starting SS and leadoff hitter for the Eastern Division team...Scored the game's 1st run and added a 2-run HR in the 2nd inning... Transferred to Pawtucket the next day on 7/16 and spent the remainder of the season with the PawSox. Went 4-for-5 with a 2B, HR, 3 R, and 3 RBI on 7/17 at Durham, his 2nd game at Triple-A. On 8/1 at Buffalo, hit a game-winning, 2-out, 3-run HR in the top of the 9th inning, turning an 8-6 deficit into a 9-8 lead. Went 18-for-44 (.409) in his final 11 games beginning 8/28, raising his Triple-A AVG from .226 to .271...In his final game of the season on 9/7 vs. Buffalo, went 4-for-5 with a 2B, HR, 4 RBI, and 2 R. Also played in 42 games for Licey of the Dominican Winter League, batting .257 (37-for-144) with 6 2B and 2 HR...Played primarily SS, but also made 7 appearances at 2B. Following the season, ranked by Baseball America as the Red Sox' 2nd-best middle infield prospect, the club's No. 12 prospect overall. Spent entire season with High-A Daytona...Named a Florida State League mid-season All-Star. Led the Tortugas in 3B (7) and SB (22) and ranked 2nd in runs (61) and hits (119)...Made all 122 of his starts at SS. Hit .321 (25-for-78) in April (22 G)...Combined in June and July (51 G) to bat .311 (61-for-196)...Had a season-high 11-game hitting streak from 7/20-30 (.405 AVG, 17-for-42, 11 R, 11 RBI). Following the season, played in 16 games for Licey of the Dominican Winter League. 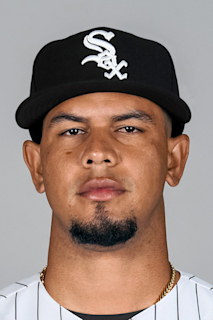 Acquired by BOS from CHC on 12/15, completing the trade for LHP Felix Doubront from 7/30. Spent entire season with High-A Kane County (CHC)...Stole a team-high 21 bases in 28 attempts. On 8/15 at Burlington, provided the game's only run with a solo HR in the 2nd inning. Combined with Single-A Peoria and Short-A Boise to hit .258 (110-for-426). Played his first 43 games with Peoria before transferring to Boise on 5/28...Hit .357 (25-for-70) with RISP for the Hawks...Had an 18-game hitting streak from 7/25-8/13 (.347, 26-for-75). Led the Rookie-level Arizona League Cubs in runs (39), 2B (tied, 16), and RBI (42), and ranked 2nd in games (51), hits (70), and BB (16)...Ranked 3rd in the AZL in hits and 4th in 2B (tied) and RBI. Hit .457 (21-for-46) during an 11-game hitting streak from 6/30-7/14 and .431 (28-for-65) during a 16-game hit streak from 7/22-8/10...Scored at least 1 run in 10 straight games from 7/1-14 (12 R). Batted .365 (57-for-156) vs. RHP and .403 (29-for-72) with RISP. Hit .306 (11-for-36) in June, .347 (33-for-95) in July, and .329 (26-for-79) in August. Combined to hit .286 (73-for-255) in 69 games with the Cubs' DSL teams in his pro debut... Named a DSL mid-season All-Star. April 20, 2019 Boston Red Sox sent 2B Marco Hernandez on a rehab assignment to Salem Red Sox. March 27, 2019 Boston Red Sox placed 3B Marco Hernandez on the 10-day injured list. Left shoulder. November 1, 2018 Boston Red Sox activated 3B Marco Hernandez from the 60-day injured list. March 29, 2018 Boston Red Sox placed 3B Marco Hernandez on the 60-day disabled list. Left shoulder surgery. November 2, 2017 Boston Red Sox activated 3B Marco Hernandez from the 60-day disabled list. May 28, 2017 Boston Red Sox transferred 3B Marco Hernandez from the 10-day disabled list to the 60-day disabled list. Left shoulder subluxation. May 4, 2017 Boston Red Sox placed 2B Marco Hernandez on the 10-day disabled list. Left shoulder subluxation. April 7, 2017 Boston Red Sox recalled 2B Marco Hernandez from Pawtucket Red Sox. April 1, 2017 Boston Red Sox optioned 2B Marco Hernandez to Pawtucket Red Sox. August 25, 2016 Boston Red Sox recalled Marco Hernandez from Pawtucket Red Sox. August 18, 2016 Boston Red Sox optioned SS Marco Hernandez to Pawtucket Red Sox. August 15, 2016 Boston Red Sox recalled Marco Hernandez from Pawtucket Red Sox. July 9, 2016 Boston Red Sox optioned SS Marco Hernandez to Pawtucket Red Sox. May 16, 2016 Boston Red Sox recalled Marco Hernandez from Pawtucket Red Sox. May 2, 2016 Boston Red Sox optioned SS Marco Hernandez to Pawtucket Red Sox. April 30, 2016 Boston Red Sox recalled Marco Hernandez from Pawtucket Red Sox. April 20, 2016 Boston Red Sox optioned SS Marco Hernandez to Pawtucket Red Sox. April 15, 2016 Boston Red Sox recalled Marco Hernandez from Pawtucket Red Sox. March 18, 2016 Boston Red Sox optioned SS Marco Hernandez to Pawtucket Red Sox. November 20, 2015 Boston Red Sox selected the contract of Marco Hernandez from Pawtucket Red Sox. July 16, 2015 SS Marco Hernandez assigned to Pawtucket Red Sox from Portland Sea Dogs. May 8, 2015 Portland Sea Dogs activated SS Marco Hernandez from the 7-day disabled list. April 19, 2015 Portland Sea Dogs placed SS Marco Hernandez on the 7-day disabled list. March 7, 2015 SS Marco Hernandez assigned to Boston Red Sox. December 15, 2014 Chicago Cubs traded SS Marco Hernandez to Boston Red Sox. December 15, 2014 SS Marco Hernandez assigned to Portland Sea Dogs. October 24, 2014 SS Marco Hernandez assigned to Tigres del Licey. March 30, 2014 Marco Hernandez assigned to Daytona Cubs from Kane County Cougars. March 15, 2014 IF Marco Hernandez assigned to Chicago Cubs. April 1, 2013 SS Marco Hernandez assigned to Kane County Cougars from Boise Hawks. March 6, 2013 SS Marco Hernandez assigned to Chicago Cubs. April 2, 2012 Marco Hernandez assigned to Peoria Chiefs from AZL Cubs. March 26, 2012 SS Marco Hernandez assigned to Chicago Cubs. June 20, 2011 Marco Hernandez assigned to AZL Cubs from DSL Cubs1. June 29, 2010 SS Marco Hernandez assigned to DSL Cubs1 from DSL Cubs2. May 28, 2010 DSL Cubs2 signed Marco Hernandez. July 17, 2009 Chicago Cubs signed free agent SS Marco Hernandez to a minor league contract.